The first thing you will want to do once you have settled into your accommodation at Kingston University is to start exploring everything the campus has to offer. You can start by looking into all the different clubs. 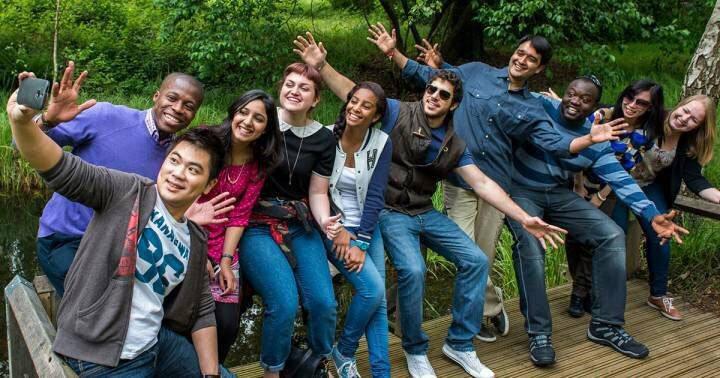 You will find over ninety societies and clubs available at Kingston University. You can make a connection with your commuvnity, political group, faith or country. You can join other people interested in your subject for entertaining and educational events. You can make new friends, enjoy a wide selection of films, fun games, great music and delicious food. You can join forces to promote numerous worthy causes. You can even begin your own society to share new ideas and concepts with the other students. One of the best things about having an accommodation in Kingston University is attending the wide variety of events on campus. The college frequently hosts events on campus such as theater performances, lectures, dances, movie screenings and so much more. These events are usually free for the students, provide the opportunity to meet new people and are much safer and more satisfying than attending a wild Uni party. The various Kingston University campuses offer a wide selection of available jobs. You can choose to be a part of the bat staff, help out in the library, organise different events, etc. There are a lot of worthwhile opportunities. You can be a part of the student government. You can even do a lot more than just join. You have the opportunity to become involved with the important matters happening on the campus and improve your resume at the same time. You will improve your leadership skills, be able to show you have been a participant in an activity for making central decisions and connect with a diverse and wide body of students. One of the best parts is you are going to hear about all the upcoming events at all of the Kingston University campuses. You will enjoy just getting out and attending these events. Did you know that the students currently studying in the UK are spending an average of £30 a week on their food alone! That doesn’t sound like a huge amount but if you can half that you could be saving yourself around £800 a year! If you try and arrange one day a week to go and shop for food in one of the larger supermarkets after 7pm you will find a lot of reduced items. These items are being reduced because they go out of date the next day or the day after. You can purchase and freeze these items, make sure you defrost them on the morning you would like to use them and they will be just fine! Make a list before you go, it will stop you from buying items that you don’t need! If you are shopping just for yourself then a 2 pack of chicken fillets could work for two of your dinners! Just buy some different vegetables to accompany it and you have two dinners there. Don’t be afraid to use own brand products they are often just as good as the branded ones and are a fraction of the price. Try setting yourself a challenge for your next shop; buy only own branded items, see how it all tastes for that week! There are often deals to be had out there, keep an eye out in magazines and newspapers too. We often ignore this offer because it is presented to us at the end of our food shop and we just want to get home at that point. Next time take a leaflet, you can usually fill out an application form online to be sent a loyalty card. You should then keep the card on you for each shop and ensure your points are added each time you shop. This will earn your money off your shopping bill and or other benefits, all at no extra cost! Try not to be drawn to apparent deals, if you look closely at some of them they aren’t really deals at all. Keep an eye out for this, if you stick to your list you may not be looking anyway! 7. Don’t let your food go to waste! If you cook up a lovely batch but there is just too much for you to be able to finish it all; have an air tight storage pot to use for storing it. You can usually leave this in the fridge for a day or two depending on what it is, alternatively freeze it and have it again the following week. 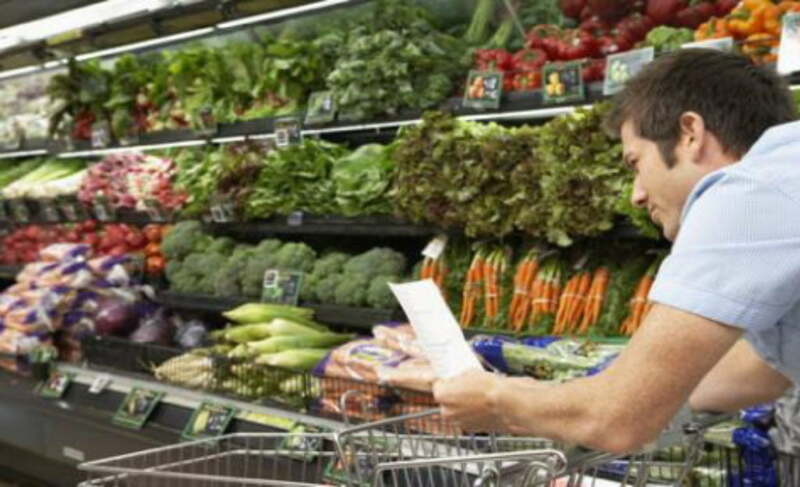 If you haven’t eaten all day and you go into a supermarket you are much more likely to rush and panic buy. This is when you will end up buying the expensive unnecessary items. Take advantage of the supermarket wars here in the UK. The major brands all want the best price label so fight hard against their competitors to prove to us that they are the best value for money. They offer money back if their competitors sell some items for a smaller amount, ask your local supermarket what their price guarantee is and make sure you pull them up on it when you catch them out! Remembrance Day is a day when we remember the end of the First World War, it is a day to remind ourselves of the members of the armed forces who died in their line of duty. This day of remembrance is also marked in many other countries to recall the end of the hostilities caused by World War I in 1918. 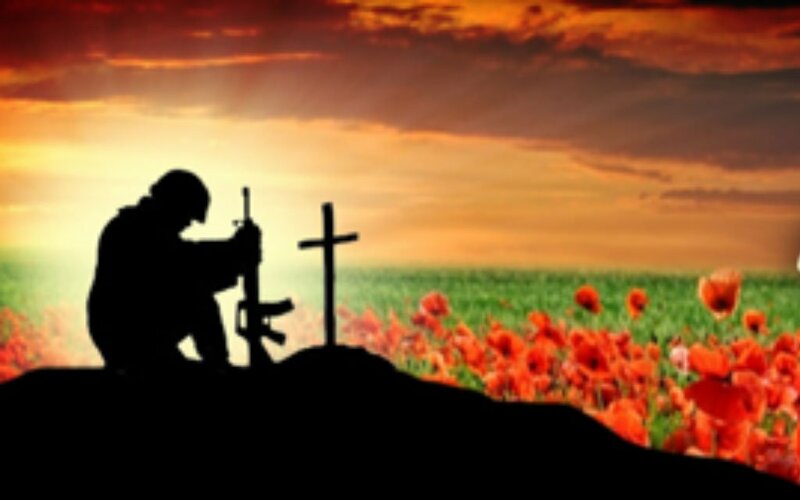 In the United Kingdom, the main observance is on the Sunday nearest to 11th November, this year that will be Sunday 12th November, a two-minute silence is held at 11am to remember our armed forces and the effects of World War I.
Ceremonies are held at local war memorials, these are usually arranged ex-service men, this day is naturally very close to their hearts. In this ceremony poppy wreaths are laid by representatives of the Crown, the armed forces, ex-service men, and local civic leaders. They are also usually children that are a part of cadet forces, the Scouts, Guide’s and representatives from St John’s Ambulance and the Salvation Army. 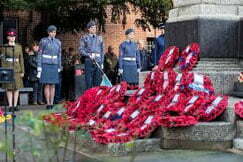 The service and wreath laying will take place at the War Memorial. The Remembrance Day commemorations include a March Past, from the Ancient Market Place to the Guildhall at approximately 12 noon. Residents can help show the nation that Kingston remembers by posting photos from the borough’s remembrance events, formal or informal, on social media using the hashtag #KingstonRemembers. We will be encouraging our students to get involved on Sunday and visit Kingston to watch the service, the service is well organised and one that will stay with them. Taking part in the two-minute silence will help show a mark of respect if they cannot make a service. I will be suggesting my students put an alarm on their phone to remember this time on Sunday. Pumpkins also come in white, blue and green! Originally you had to dance for your ‘treat’. Jack-o-lanterns were once made out of turnips, beets and potatoes – not pumpkins. Halloween used to be a great day to meet your soulmate – this doesn’t have to be past tense! 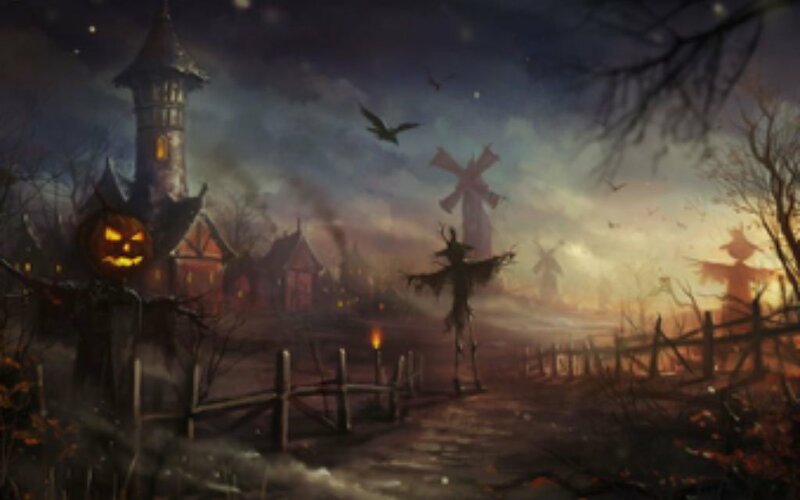 Ireland is typically believed to be the birthplace of Halloween! The Viper Rooms are holding a Nightmare on Thames Street night! Full club décor and live actors on the night! Entry from 10pm Fancy dress welcome! Thorpe Park Fright Night every night from now until October 31st! All of Thorpe Parks thrilling rides in the dark! Including new hair-raising events and live actors on site throughout the night! Shocktober Fest scream park is back and scarier than ever with 8 haunted attractions, live music and great food. Or if you are on a budget, why not have a party in your accommodation! Planning a DIY party like this can be as much fun planning as it is to attend! Get together with some others in your building and have a spooky get together! All prepare one dish and bring a bottle! Stuffed jack-o-lanterns: Cut the top from any colour pepper, carve in some spooky eyes nose and mouth and add cooked long spaghetti – pull the spaghetti through the holes! Ghost Kobabs: Skewer some fruit and mix with marshmallows, draw a face on the marshmallow with edible pen! Rice Krispy Brains: Mix Rice Krispies with Golden syrup, butter and sugar. Shape them into brains … leave to cool and set in that shape then decorate with red icing pen! Spider Jelly: Simply make and set any colour jelly. Once set mix it all up and add some jelly worms! Or plastic spiders look most effective! Apple Bobbing: A classic … fill a big bowl or bucket with cold water throw in a load of apples and the game is ready! Each player has to have their hands tied behind their backs and drop to their knees! You can make it more interesting by putting a time limit on them and if they have not caught an apple using their mouths only within 1 minute they should get a forfeit! Pass the Mini pumpkin: All stand in a line, the first player places the mini pumpkin under his or her chin and passes it to the next player in any which way …. Without using hands!! Guess the Villain: When your guests arrive at the party, attach the name of a movie villain onto their backs so they can’t see it. They can then ask other guests yes/no questions to try to guess which villain they are, and they can have conversations with other guests to help them figure out theirs. Photo Booth: Set up a corner in the room with scary props including a large frame made from cardboard … use your party name and where you party is … set up a hashtag and ask everyone to use it when they post their pics! What’s on at Thorpe Park?? New to Kingston and Greencoat House? There is buckets of fun to be had within easy reach of Kingston!! Visiting Thorpe Park is just one of them. You may have heard of it but with constant changes and new rides being introduced, it can be hard to keep on top of everything. So, what’s new at Thorpe Park? The biggest announcement at the immensely popular theme park is the arrival of an entirely new ride called ‘Ghost Train’ It takes riders on a unique psychological journey as they travel on a mysterious Victorian train carriage and encounter a series of surprise incidents along the way. This astonishingly fun ride takes visitors on a multitude of events designed to stimulate the senses and manipulate the mind in what can only be described as a truly one-of-a-kind experience. Derren Brown’s Ghost Train is open now and you can find out more information over on the Thorpe Park website by clicking here. Whilst Ghost Train will surely be absorbing much of the limelight this year, let’s not forget the sheer abundance of other amazing rides the park has to offer. This gargantuan, £13.5 million structure takes visitors through a rip-roaring network of exciting twists and turns as they hurtle down the 850m of iconic white tracks. 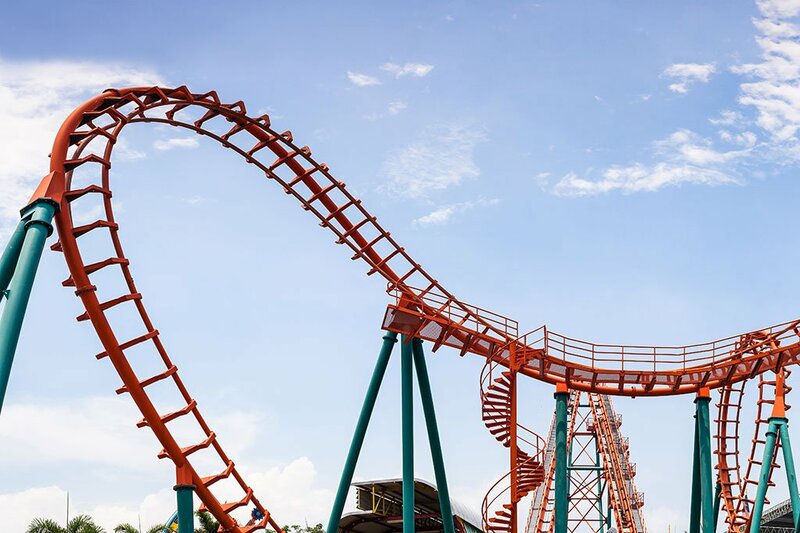 Complete with a grand total of 10 inversions including vertical loops, corkscrews and heartline rolls, this is sure to be a hit for the adrenalin junkie amongst you. Another firm favourite for vertical daredevils is Stealth. Standing at a massive 205ft tall, the sheer scale of Stealth makes it impossible to miss almost anywhere inside the park’s grounds. Jump on board and you’ll be sent from 0-80mph in the blink of an eye (1.9 seconds to be exact) which is faster than, well, just about anything! Reaching the top is just the start, however. After you’ve regained your composure following the stomach-churning ascent and absorbed the landscape’s epic views, you’ll then be sent plummeting back to earth at ungodly speeds and experience a moment of transient weightlessness before reaching safety. These are just some of the exhilarating rides at Thorpe Park, with many more waiting to be discovered. After a long day enjoying Thorpe Park’s perilous rides, why not make your way down to Kingston town centre for a drink along the river.